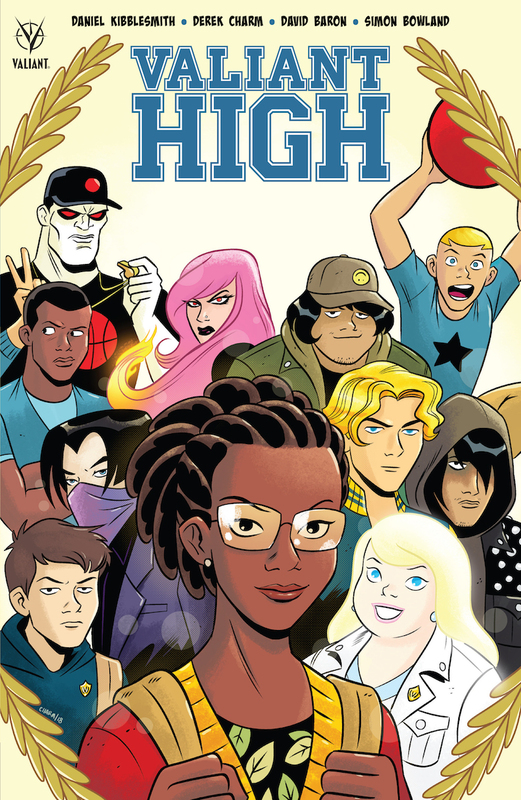 Arriving in comic stores on Wednesday (9/5), the Valiant High tradepaperback collects the all ages limited series that recasts the Valiant heroes as teens attending the superpowered preparatory academy, Valiant High. 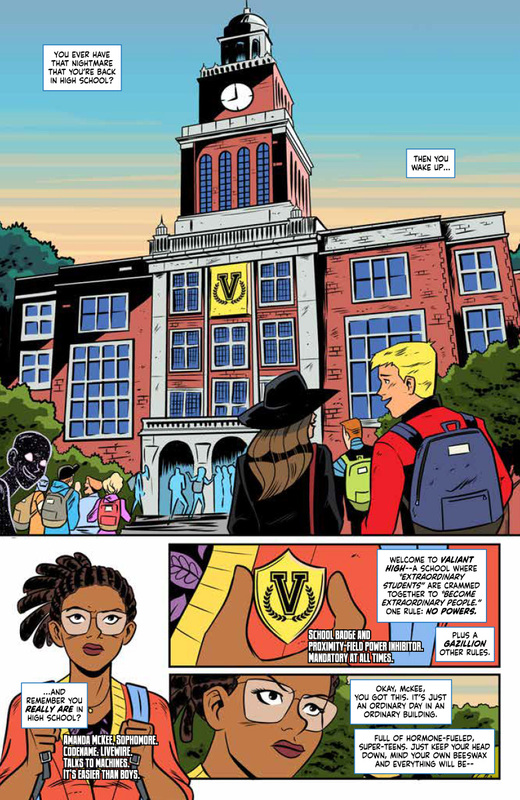 Valiant proudly presents its first ALL-AGES escapade with a pitch-perfect entry point for new fans and longtime readers alike! 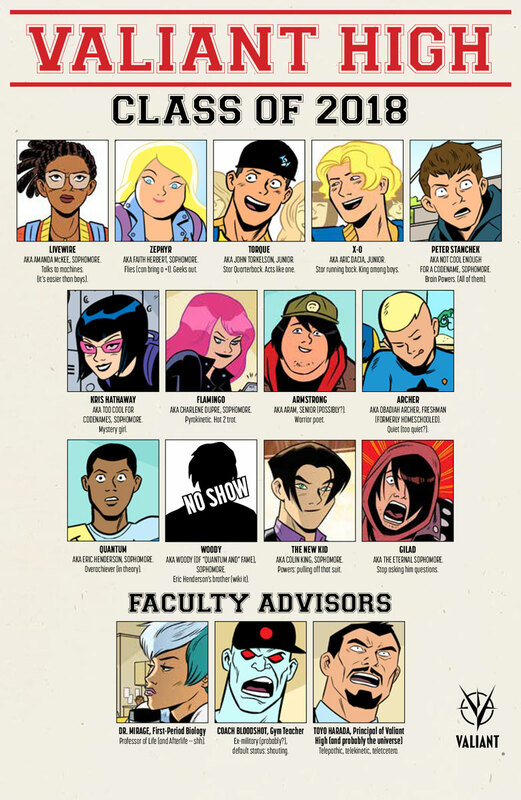 Before they became legends, the world’s most formidable heroes were roaming the halls at Valiant High – a superpowered preparatory academy where Aric “X-O Manowar” Dacia is a record-setting running back, Colin “Ninjak” King is a debonair foreign exchange student, and Coach Bloodshot is way, way too into dodgeball. 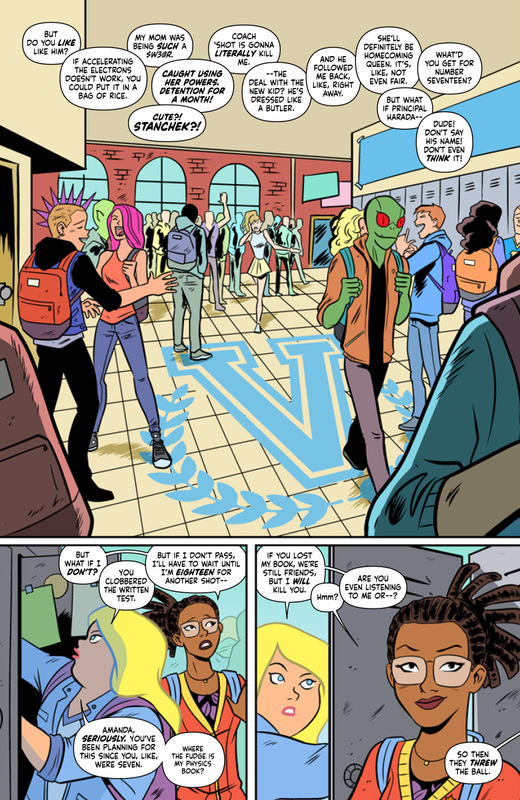 Now, Amanda “Livewire” McKee and her best friend, Faith “Zephyr” Herbert, are taking it all in for the first time at the one high school where power trumps popularity! 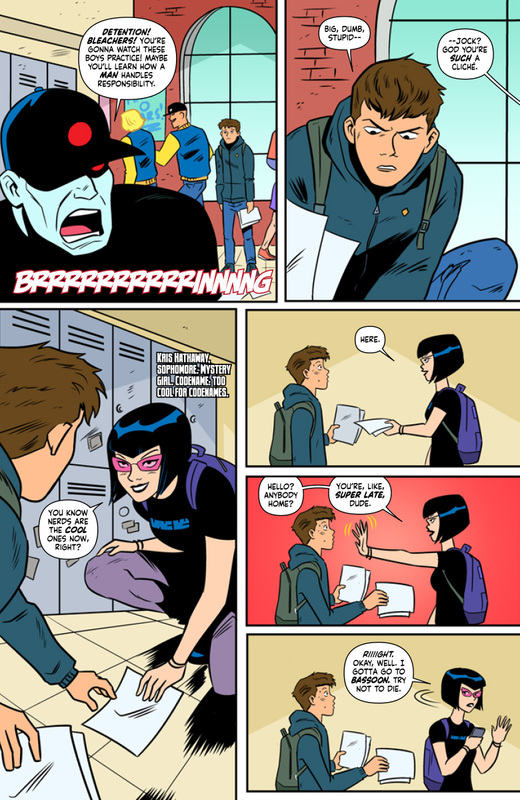 From rising star Daniel Kibblesmith (The Late Show with Stephen Colbert) and Eisner Award-winning artist Derek Charm (Jughead), get ready for your first day of school inside a hilarious reimagining of Valiant’s award-winning superhero universe – one where the next world-ending cataclysm will have to wait until after prom night! 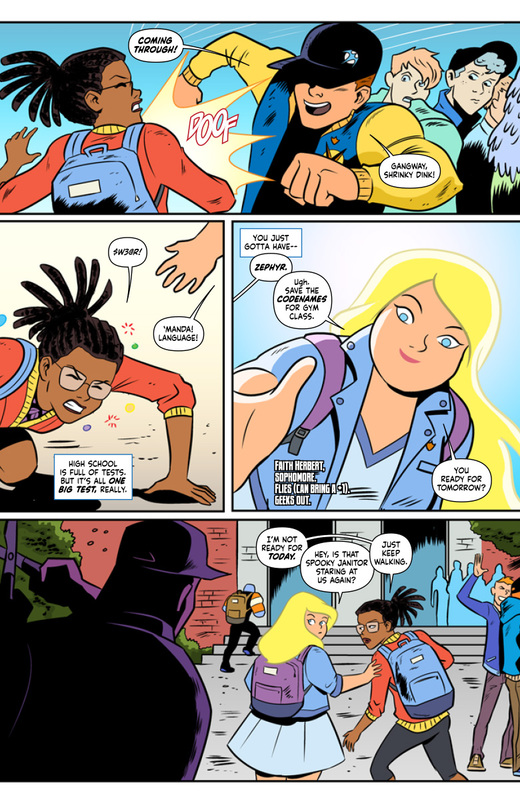 In the tradition of Archie and DC Super Hero Girls, this side-splitting adventure takes place outside of Valiant’s standard continuity and comes packed with all-new incarnations of virtually every Valiant hero and villain! 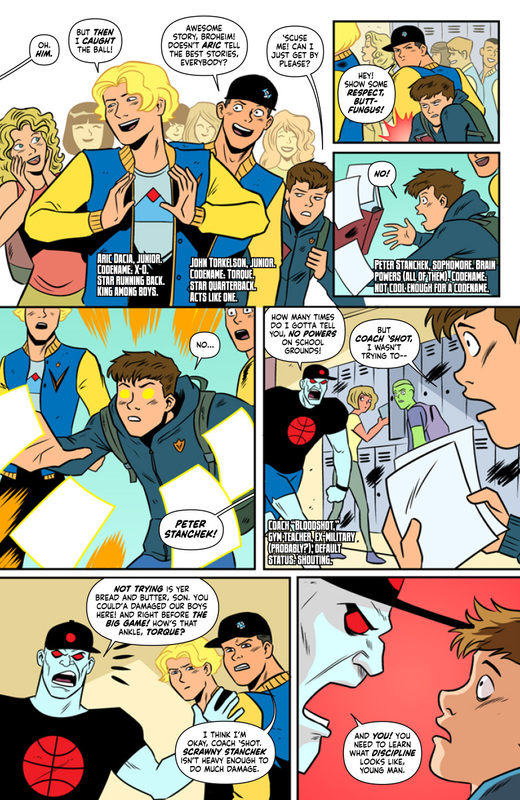 You’ve never seen the heroes of the Valiant Universe quite like this before!